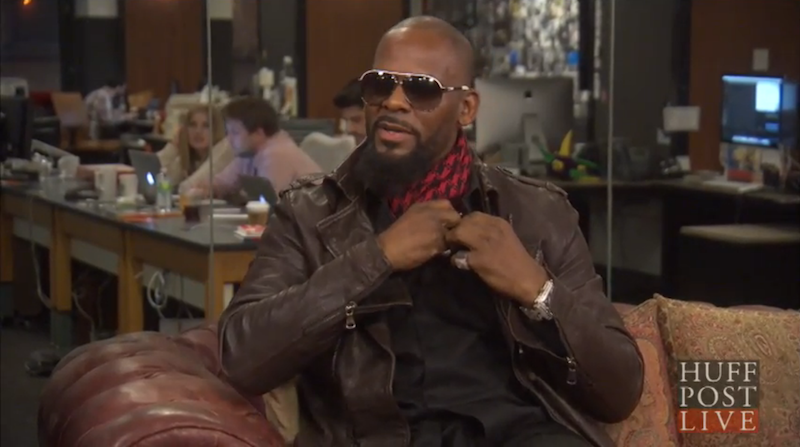 On Monday, R. Kelly appeared on HuffPost Live to promote his new album The Buffet. Over the course of the interview, host Caroline Modarressy-Tehrani took questions from commenters, in addition to posing her own questions about the disappointing success of the record. “Some people say that they’re conflicted—that they want to support the music because they think musically you are a genius. But they can’t support you,” she said, referring to the multiple lawsuits accusing the singer of sexually assaulting underage girls. Modarressy-Tehrani tried to ask a number of follow-up questions, which Kelly enthusiastically shut down by saying a lot of meaningless words. And because HuffPost Live lacks the time constraints that a cable news show might have, we were forced to endure many minutes of Kelly deflecting. Kelly then accused the host of disrespecting him, and insulted her “level of intelligence” when she disagreed. He also asked her if she ever got sloppily drunk to make her understand what it feels like to be asked questions about an embarrassing topic. Ultimately, Kelly took off his microphone, complimented Modarressy-Tehrani on her beauty, and left, as any innocent man would do.